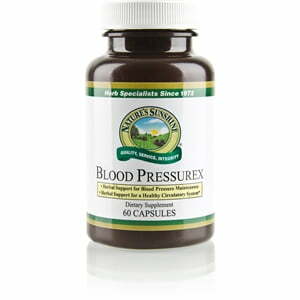 Nature’s Sunshine formula for Blood Pressurex combines powerful herbs and nutrients that support the body’s efforts to maintain normal blood pressure levels. Blood Pressurex contains coleus forskolii, olive leaf extract, hawthorn berries extract, golden rod, the amino acid arginine, vitamin E, and grape seed extract. The combination of these herbs and nutrients provides powerful antioxidants for the body that protect the circulatory system and encourage proper blood flow. Magnesium stearate (vegetable, from soy), silicon dioxide (powdered silica), gelatin, and water.